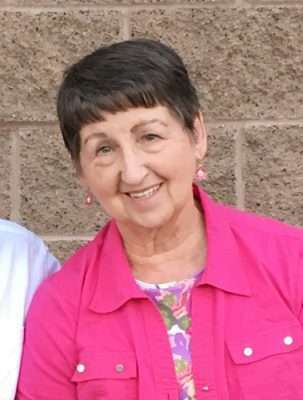 Our sweet mother, grandmother, sister and friend, Betty Kay Smith, of Lehi, Utah passed away on Friday, Dec. 22, 2017 after a short battle with cancer at the age of 73. Betty was known as a kind and gentle woman who loved her family, friends and faith. Betty was born on Sept. 28, 1944 in Westwood, California. She spent most of her youth in Quincy, California and married Forrest Paul Smith on Feb. 14, 1965 in Reno, Nevada. They lived most of their life together in Susanville, California where they raised four children. In 1997, Paul and Betty moved to Pleasant Grove, Utah, followed by three of their children. Betty is predeceased by her parents, Emery and Erma Branson; her brothers, Harold and Dwayne Branson; as well as her husband, Paul. 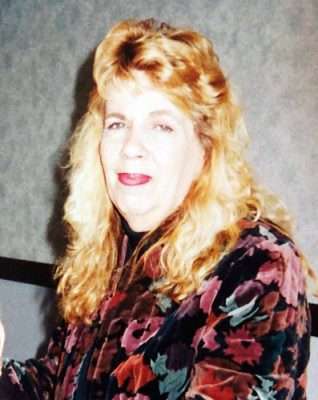 She is survived by her brother, Jerry Branson; sister, Phyllis Reff; her children, Shari Reiniger (Kirk), Paula Christensen (Kelly), Brad Smith and Kara Smith; as well as her grandchildren, David Reiniger, Tailor Rawlings (Shad), Logan Hendricks, Lia Smith and Eastin Smith. A viewing will be hosted from 6 to 8 p.m. Friday, Dec. 29, 2017 at Wing Mortuary in Lehi, Utah. A memorial service will be held at the LDS Church on Richmond Road in Susanville, California at 11 a.m. Saturday, Jan. 13, 2018 with a graveside to follow. In lieu of flowers or gifts, please donate to the Huntsman Cancer Institute at donate.huntsmancancer.org/give or your local cancer institute. Jerome “Buzz” Berg, 79, of Janesville, California, passed away, Monday, Dec. 25 at his home. A private celebration of life service will be held at the Berg home with immediate family at 1 p.m. Friday, Dec. 29. According to Jerome’s and his family’s wishes, he will be cremated. Jerome was born July 2, 1938 in Starbuck, Minnesota to Oswald and Gladys (Olson) Berg. He was given the name “Buzz” by his sister Shirley as a youth. He graduated from Rosemead High School in June of 1956, after which he joined the United States Navy for four years and served as an I.C. Technician, achieving the rank of E5, Petty Officer 2nd class, before exiting his service with an honorable discharge. He was married a year after joining the Navy to Nancy Bracher on July 6, 1957, a marriage which lasted 60 years until his death. He attended Chaffey College in Cucamonga and obtained an associates degree in electronics and subsequently began a long career at General Dynamics in Pomona, California as a radio frequency engineer, where he worked for 33 years. He and Nancy both retired by February of 1994. They moved to Janesville in October of 1998 to their current residence where Buzz applied himself to become a gentleman rancher, where they both enjoyed rural living along the Eastern Sierra. Jerome is survived by his two children, Desiree and Michael; by his wife, Nancy; and by his sisters, Gloria, Shirley and Gail. He has three grandchildren, Nicholas, Michelle and Zachary. He was preceded in death by his parents, Oswald and Gladys in 1987 and 1991 respectively. Ruth was born on March 31, 1922, in Pittsburg, Pennsylvania, and passed away in her home peacefully on Dec. 12, 2017. Preceeded in death (2001) by husband of 59 years, Delbert Lamont Merriner. Survived by children, Audrey Lee, Patti Merriner, Rich Merriner and Wayne Andrus-Merriner, as well as 18 grandchildren, eleven great grandchildren and four great great grandchildren. 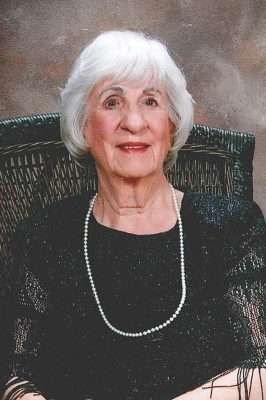 Ruth also fulfilled the couple’s desire to contribute to the community and health care in particular with building The Merriner Cottages in 2006 as an adjunct to the services at Carson Tahoe Regional Healthcare. In addition, she was a member of the Auxiliary and winner of the title Woman of the Year for that same institution. Elta Irene (Yockey) Silva was born to Albert and Ruby Yockey in Yakima, Washington on Feb. 8, 1947. The Yockey family moved often and settled in Hollister, California where she met and married David Silva on July 28, 1963. Elta loved Westwood and volunteered countless hours in her community. Elta is a former member of Altar Society, taught catechism, was a CYO leader, a member of Westwood High School Booster Club, a foster parent and worked many fundraisers for her children’s classes and teams. In 1982, Elta opened The Old Mill Café with her mother, Ruby. Elta loved owning The Old Mill and the relationships and friendships that began there. The Old Mill not only served as a restaurant but became the gathering place for many community and family events and celebrations. In 1989, Elta was elected to the Board of Directors of the Westwood Area Chamber of Commerce which she remained a part of for over 20 years, serving as president for many of them. Elta loved the Paul Bunyan Mountain Festival and worked at 27 of them. She was selected as Grand Marshall of the parade in 2010 for all her hard work. In 1995, Elta was appointed to the Westwood Community Services District Board of Directors and was the current president until her passing. Elta is survived by her husband of 54 years, David Silva, of Westwood; Son, Joseph Silva, of Sparks, Nevada; Daughters, Jamie Wilson (Warren) of Palomino Valley, Nevada and Jodie Gunn of Westwood, California; Sisters, Janet Chappell (Marvin), Cherie Spencer (Everett), Betty Yockey and Yvonne Culp; Grandchildren, Gabriel, Jordan, Christian and Lance Donat and Maddyn and Kasen Gunn; Great granddaughter, Hayden Donat; and numerous nieces and nephews. Elta was preceded in death by her parents and her brother, James Burgess. Please join Elta’s family and tell stories and share memories at a Celebration of Life at 1 p.m. Saturday, Jan. 6, 2018 at the Westwood Community Center in Westwood.